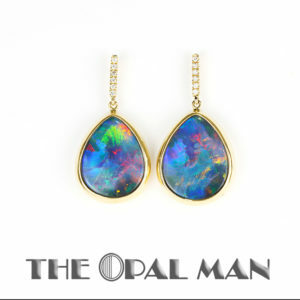 From stunning to elegant to simple… find beautiful opal earrings at The Opal Man, in Spring Green, Wisconsin. 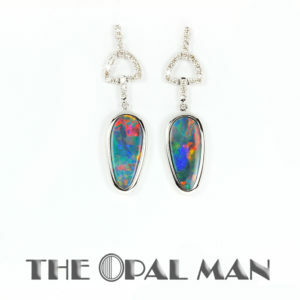 You’ll find a variety of opal earrings here in our online store and even more in our gallery of fine jewelry in Spring Green. Plan a visit to Spring Green, and let us show you our favorites! Butterfly Opal Inlay Earrings in 14K White Gold. Exceptional Color! 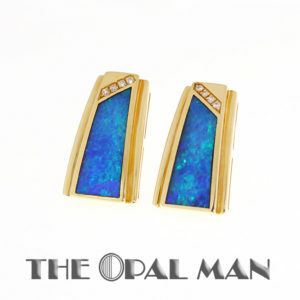 Ethiopian Opal Earrings in Yellow Gold Setting. Stunning. 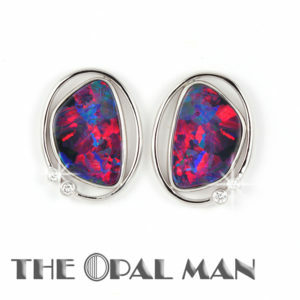 Australian Black Opal Earrings in 18K White Gold with Diamonds – Beautiful!